Dr. Rochlitz Consulting has started the new year with interesting new consulting mandates. Dr. Rochlitz Consulting has been advising companies with their own production facilities since 2012. We analyse, evaluate and optimise commercial waste disposal costs for our clients. The aim of our consulting services is to significantly reduce disposal costs. Disposal costs are a major cost factor for most manufacturing companies. Costs for disposal and recycling have risen steadily in recent years. Legislations and requirements for the separate collection of waste fractions confront companies with financial, operational and technical challenges. Dr. Rochlitz Consulting is the reliable consulting partner. 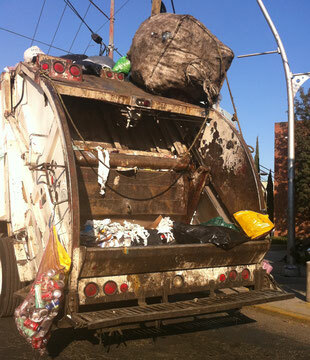 Just back from a very prospering Total Waste Management Consulting Assignment. For some countries still a long way to go but they are heading into the right direction. Dynamic collection, already quite acceptable segregation, new recycling processes speeding up and much more awareness among the population. Dr. Consulting is one of the most experianced advisors if it comes to a sustainable development and implementation of international waste management challenges. For the fourth time, German EcoTec was represented at IFAT in Munich from 14 - 18 May 2018. In Hall A4, German EcoTec presented the self-compacting solarpowered wastebin EconTop. With the Mr.Fill concept, the solar powered wastebin can be designed according to the specifications of our customers. Whether through the free choice of the RAL colour of the 3 mm powder-coated steel container or through high-quality foils with appealing graphics. 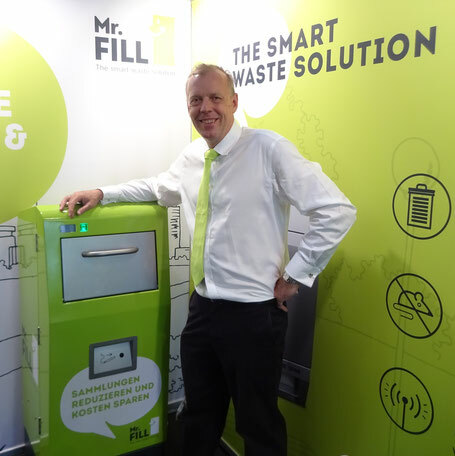 "The design variety is very well received by our customers and the wastebin can thus be visually integrated well into the environment," says Managing Director Dr. Alexander Rochlitz. German EcoTec is well known in the German and international waste and recycling industry and we thank you for the great interest at our booth.